Without claiming to show you something new or unusual, I find important to treat the subject of hand sewing in a sewing blog. In all sewing books I had in my hands, there was a chapter on this topic. However, if you are like me and you did not read it (because you had a sewing machine and a serger), this post is to show you how important could this technique be. 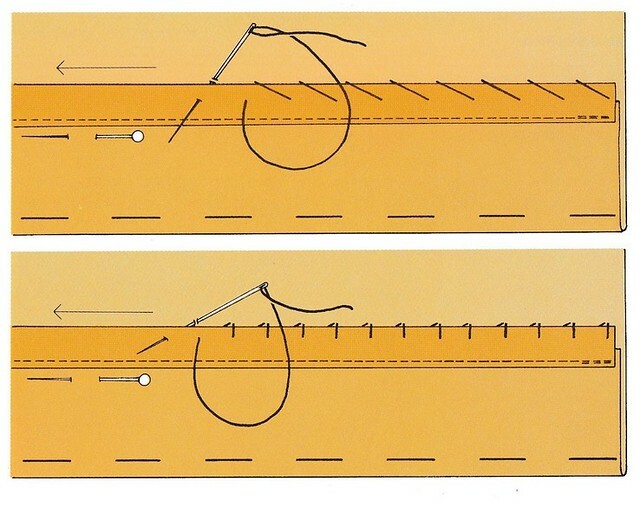 Because sometimes it is faster to sew by hand than with a machine (that you need to plug, thread, choose the needle …), and sometimes this is the only available option (for sewing invisible hems or pleats) or the most aesthetic (as hand is easier to control than the machine). 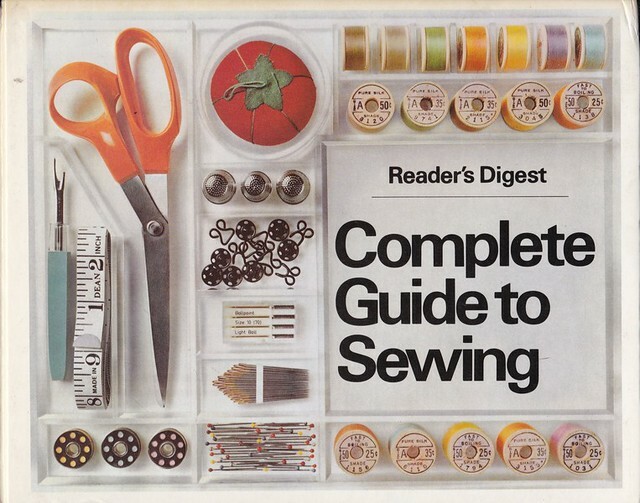 I chose the Reader’s Digest book “The Complete Guide to Sewing” (the 1976 edition) to illustrate the main hand-sewing points. A strog point which can be used to hand-picking zippers and pockets. Work from right to left. 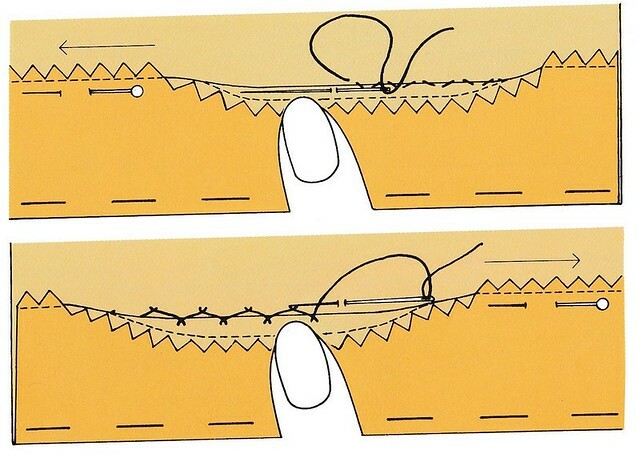 Bring needle and thread to underside, insert needle to all fabric layers a stitch length behind and bring it up just in back of point where thread emerges. 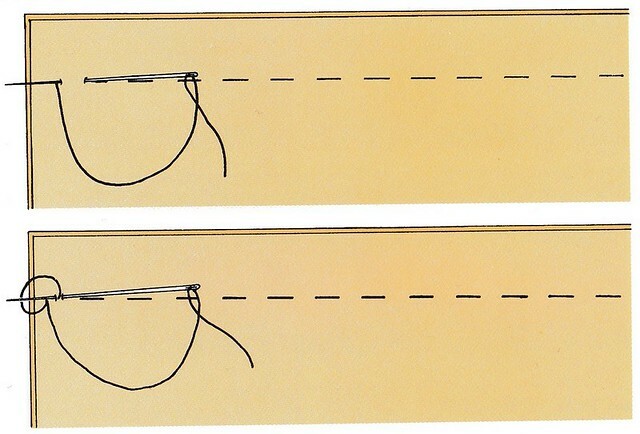 For a more secure finish, take a very short backstitch but leave a thread loop then take another small backstitch on top of the first and bring the needle and the thread out through the loop like in the illustration below. Is the strongest of the backstitches and looks much like machine stitching. It is used mainly to repare seams and for topstitching (such as jeans’ hems). The stitches are even in length with very little space between them. Uneven slipstitch is strong and almost invisible. Work from right to left. The needle is slipped between the two layers, by catching only a few yarns from the garmet. 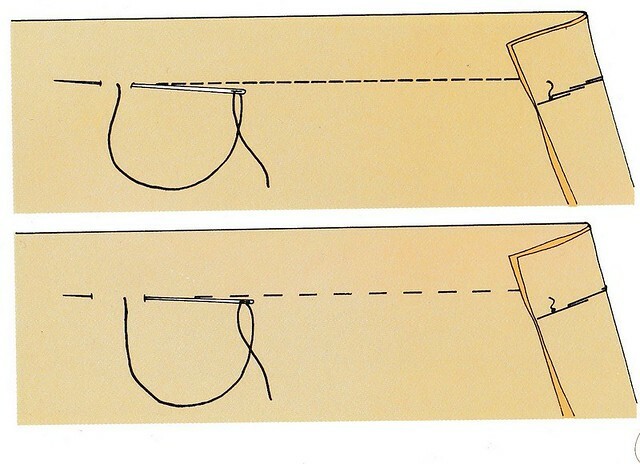 Flat catchstitch which fixes while leaving some room for movement. It is most exposed to friction and therefore more fragile. Work from left to right with the needle facing to the left. With each stitch, the thread crosses over itself. Are the same as previous, but the stitches are taken inside, between the hem and the garment. 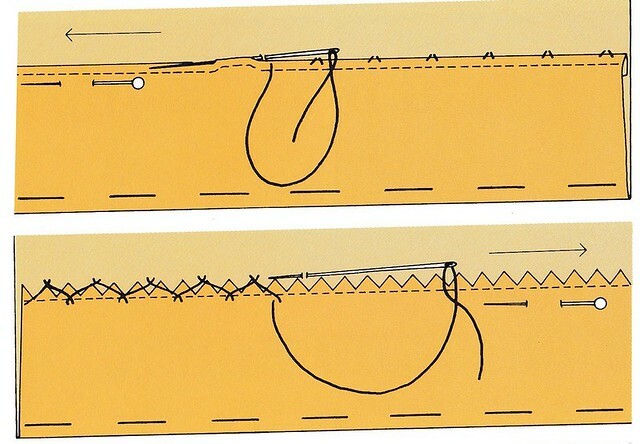 The stitch is under the edge of the fabric as in the following figure. It is used to apply a piece on another (such as patch pockets or jacket linings), or to join two folded edges that would be difficult to reach from the inside (between two pleats). The first is the quickest but little durable because so much thread is exposed and subject to abrasion. 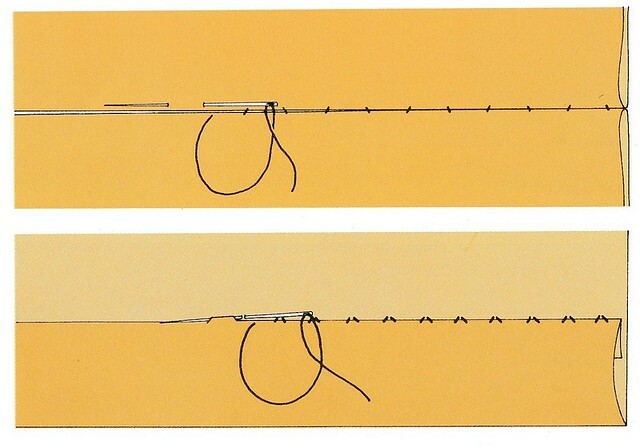 The second is more stable and durable and used to set bias or linings. I chose the points that I use most. Feel free to tell me if you prefer other stitches for hand sewing. And check the other tutorials at sewitall and simplicity.